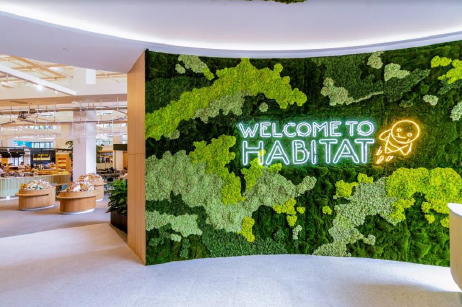 honestbee, Asia’s leading marketplace that delivers quality food products and experiences, unveils its latest offering: habitat by honestbee—the world’s first tech-integrated multi-sensory grocery and dining concept. Introducing a “NewGen retail concept”, retail technology that inspires more human engagement for a multi-sensory shopping experience. To celebrate the launch of habitat, visitors can look forward to the Festival of Fresh, a festival packed with fun-filled family friendly activities and performances from 18 October 2018. At the festival, honestbee invites visitors, young and old, to ignite their five senses through hands-on activities like pasta and bread-making, seasonal food produce and product tastings and coffee appreciation sessions. Visitors can also look forward to exciting performances by artists such as up and coming vocalist Joie Tan, Aarika Lee and New Orleans style brass band, New Stream Brass Band.